Aware that the automobile industry generates a significant amount of waste, the Spinelli Group has proudly adopted various measures in order to protect the environment. 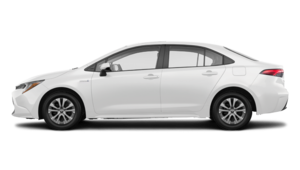 We installed a recycling and recovery program for every one of our dealerships in order to ensure our operations are consistent with practices to protect the environment. 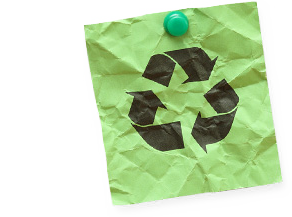 Our system allows us to recycle paper, used tires, waste oil, batteries, and electronic components. Also, we use water-based paint in the body shop, as well as an electronic corrosion protection system. The Spinelli Group works daily to diminish the use of paper and paperboard with the aim of protecting our planet. The Spinelli Group participates actively in recycling paper and paperboard. Recycling bins are available to all our employees in every one of our various locations. In addition, we requested of many of our suppliers that they submit all communications electronically as opposed to traditionally using paper. 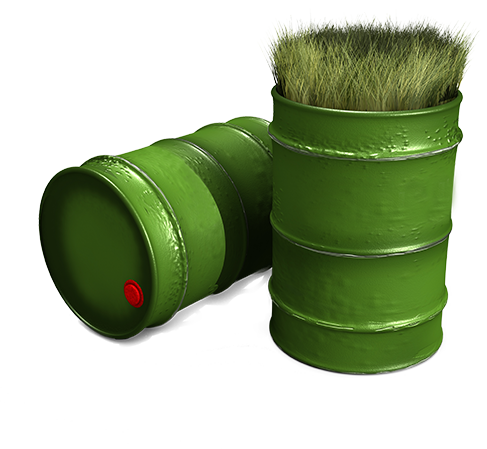 Waste oil is oil that has become contaminated after use. Through use and wear of the properties, waste oil can not longer continue to perform at its best. This is the case for engine lubricants, hydraulic fluids, liquids for metal working, insulating fluids, and coolants. Motor lubricants represent 45% of all recoverable oil. One liter of oil contaminates one million liters of water. In Quebec, roughly 30 million liters of waste oil are not recovered by certified collectors. In addition, this unaccounted oil can be burned without supervision or control, and subsequently can end up in sewer systems. The Spinelli Group offers its customers at every one of its dealerships the opportunity to transfer their waste oil in specific tanks designated for the purpose of recovery. Both body shop departments at Spinelli use water-based paint and are proudly solvent-free since March 2008. This new paint is not only better for the environment, but is also less harmful to our employees who work with it. Spinelli is proud to be a pioneer in the industry, since the utilization of water-based paint has been mandatory since only 2009. 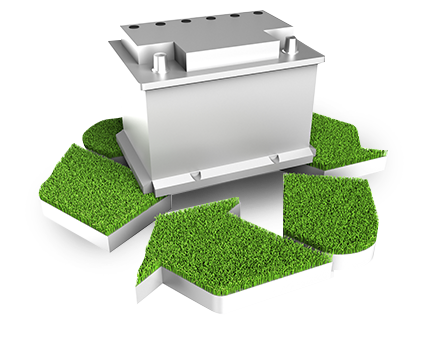 Battery manufacturers repeat the same recycling process and recover used batteries when the distributor delivers the new ones. These finished batteries are stored at the manufacturer's recycling plant before starting the recycling procedure. When the required quantity is collected, the batteries are broken into 3 principal elements that will be recycled: the plastic case, the lead from the plates, and the sulfuric acid of the electrolyte. Nova Pb recycles 90,000 metric tons of lead per year at its Ville Sainte-Catherine factory, on the South Shore of Montreal. Unlike traditional parts cleaner systems that use petrol-based products (namely Varsol), the Bio-Circle cleaning system works with with enzymes and bacteria that are heated to consume the oil. Bio-Circle is an alternative to traditional solvents guaranteeing the removal of oil and grease while maintaining the cleaner power over time thanks to self-renewing action of natural bioremediation. 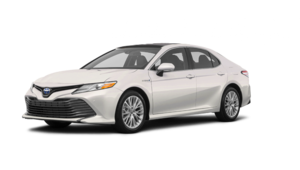 *Trial period in progress at Spinelli Lexus Pointe-Claire, implemented soon across the Spinelli Group. 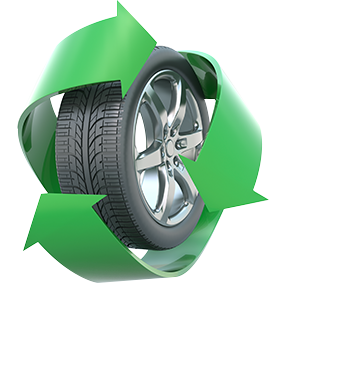 Recycle-Québec is responsible for the collection of used tires on a monthly basis to then resell the tires to recycling companies specialized in rubber. The Auto Saver system is an advanced environmentally friendly electronic rust proofing system that will protect the vehicles against rust damages. 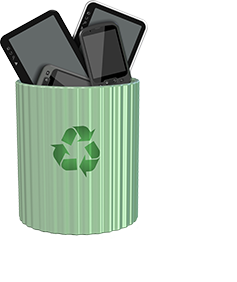 The Interecycle Company is responsible for collecting all broken or obsolete electronic components (computers, mobile phones, printers, monitors, etc.). These components are then recycled or refurbished.